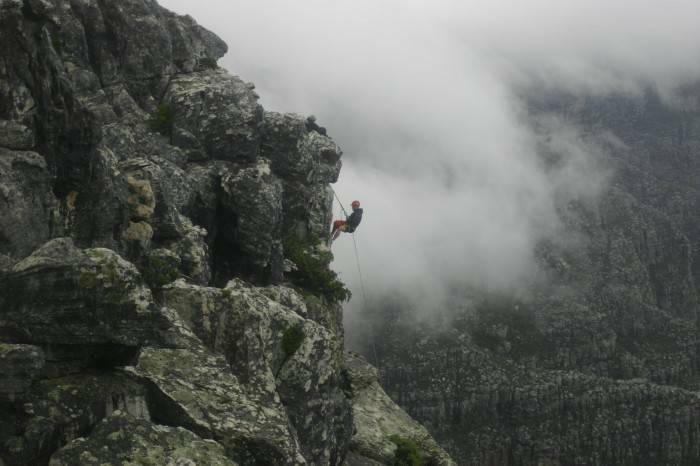 Abseiling must be one of the most exhilarating adventures one can do. 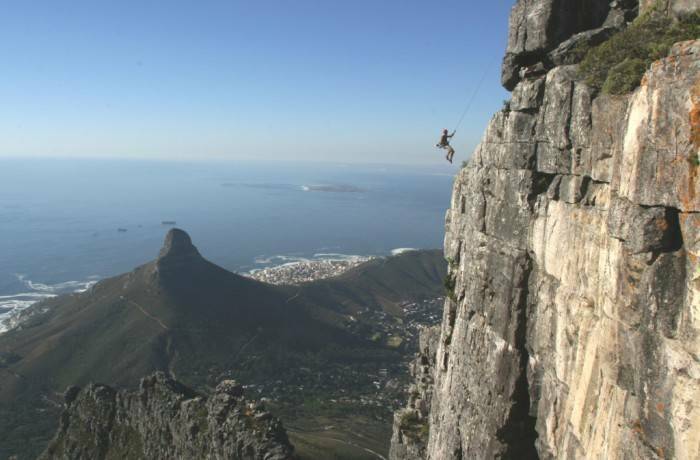 Here is Cape Town it is easily arranged, perfectly safe, anyone can do it. I would LOVE to – one day! 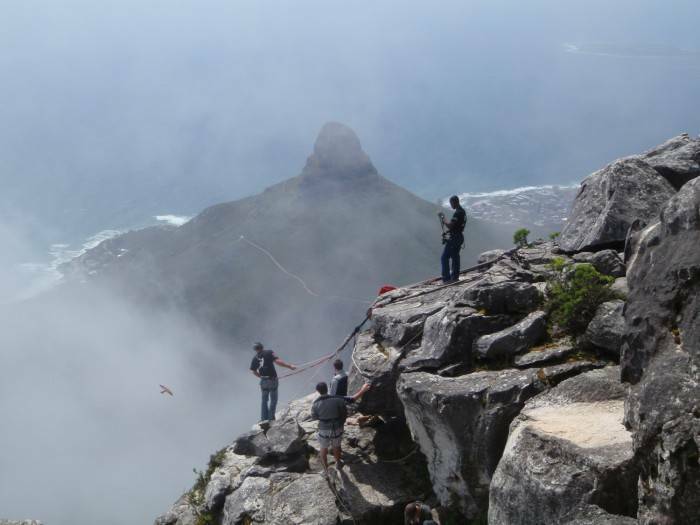 Abseil Africa is licensed to operate from the top of Table Mountain (pay extra for the cable car rides) Included in the event is signing and harnessing up, a safety briefing, accessing the abseiling site and then doing the abseil. 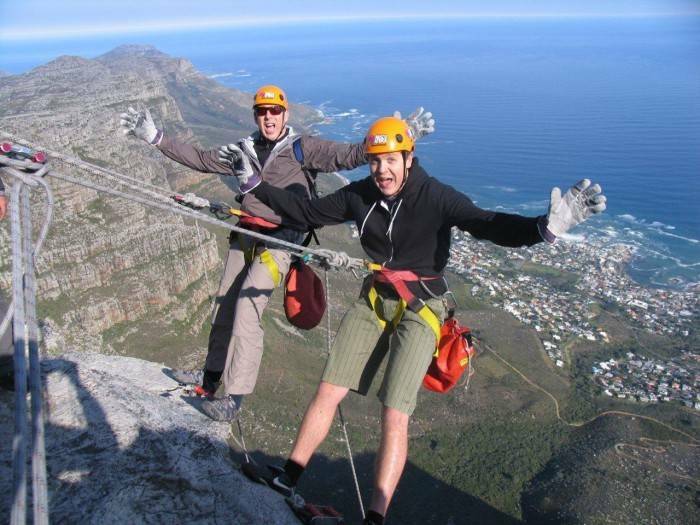 You then have a most pleasant hike back up to the top – a good opportunity to allow the adrenaline to circulate in your body and for your rapid heartbeat to recover to resting rate. 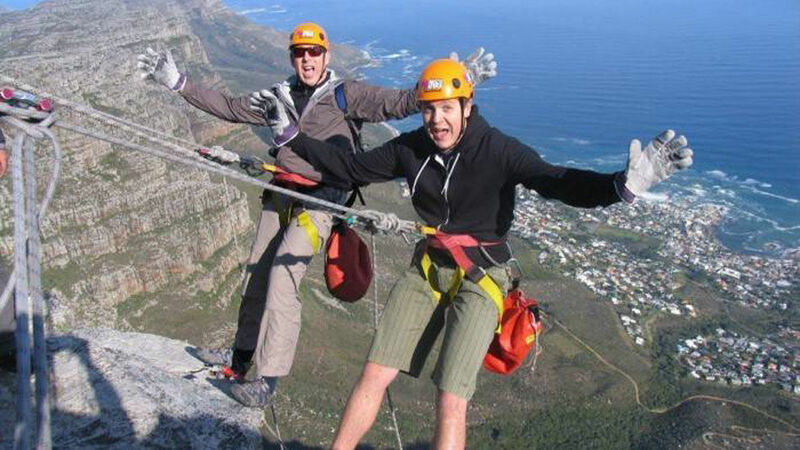 No experience is needed – anyone can do it, so long as you are relatively fit and healthy. They limit the age to over 10, and weight over 40Kg and less than 120kg.